Help bring Choose Life License Plates to Idaho! 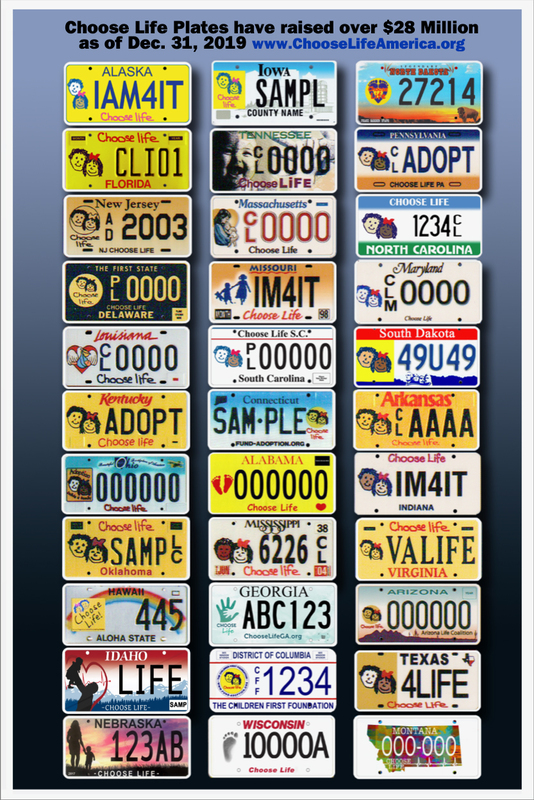 Choose Life specialty license plates are available in 32 states and have raised over $28 million nationwide for the causes of Life & Adoption since 2000. We are starting a grass-roots initiative to bring this option to Idaho. A list of a minimum of 250 applicants who intend to purchase a specialty license plate when made available for state approval. Funds raised to cover the cost to implement the license plate. Donations of $25 or more will receive a FREE Choose Life License plate frame for your car! We accept checks payable to Choose Life America, Inc. 6700 N Linder Rd Ste 156-179, Meridian, ID 83646. For more information, please reach out to Cindy Lange, 208-794-9230.